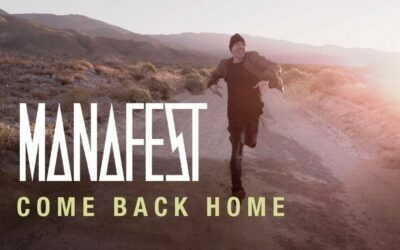 Music Video: The Lasting Hope Perform Their Latest Single "Carrying Me"
She Knows from Avery Road on Vimeo. Hailing from the Richmond, VA area, Avery Road is made up of Jason Burton and Tim Wade. Both have rich spiritual and musical histories that come together to make something very special and unique in today’s musical landscape. With a sound that can best be described as being a little bit of Southern pop/rock mixed with country and modern worship, Jason and Tim have that down home feel that is mixed with songs that touch a nerve. Vocally is where these guys really stand out with harmonies that are their calling card. “We both come from a musical background”, says Jason. “Tim led worship for years before forming Avery Road, and I was on the road touring already as part of the duo “Belief” and then solo the last few years.” Belief had two national top 20 radio singles back in 2001-2002. Avery Road, only in their first year, will have played over 60 concerts before the end of the year. They are also coming off the back of releasing their first national radio single called “She Knows” to Christian radio back in September. The duo released their first cd entitled “Avery Road” earlier this year and the response has been humbling. “The music that God’s given us is touching a musical and spiritual place in the churches we have been playing”, says Tim. Avery Road was named in part to remember Tim’s daughter, Avery. She was born to Tim and his wife Amanda and lived for only 7 weeks. God’s mercy and grace was evident in their lives and He brought them through that. It’s a testimony that is ministering to people every concert. “It’s a great message of God’s faithfulness”, says Tim. 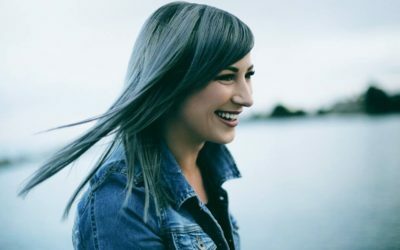 “Our story is not necessarily one of Avery, but of the Savior Who holds her now and held us then in one of our darkest hours.” Several songs on Avery Road’s self titled debut cd deal with the trials of life and how Jesus walks beside us and carries us in those times. God blessed Tim and Amanda with another little girl they named Everly. Jason and his wife have 4 children as well. The “SHE KNOWS” lyric video can be seen above. Jason Burton is a songwriter at heart. He has been writing tunes since he was just a kid and loves to write music that makes people pause, think, consider, and bring emotion to the surface. With the first single going to national Christian radio from the duo “Avery Road”, this is evident upon first listen. Tim and Jason’s voices blend powerfully on this track with an airy piano pop sound and a beautiful melody that is uplifting. “We TRULY PRAY this song will minister to your listeners and we ask you to help us get the truth out about this subject that’s so timely. God bless…..